Thanks for having me back on your blog today, Kacey! I’m so excited. 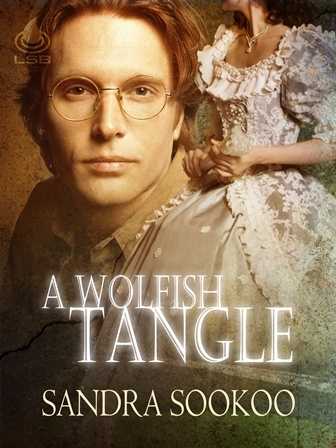 Today, I’m sharing a quick snippet from my latest book release A WOLFISH TRYST AT CHRISTMAS. A WOLFISH TRYST AT CHRISTMAS is a short, sensual Christmas story about Blake and his lady love. Will their love make it through war? Elizabeth VanHaussen has exchanged letters with Blake for a year, and he’s promised to meet her at her uncle’s annual Christmas Eve party, but the war often throws plans awry. In such stressful times, she can’t wait to tell him how she feels because who knows what tomorrow holds. 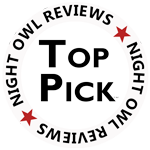 Blake Harrison, a captain in the Union army, has one night free from his obligations. The War Between the States might have broken the nation, but he refuses to let it claim his love for Elizabeth as a casualty. And for Christmas, he intends to ask for her hand. Desire and mutual need collide on the dance floor, but what transpires once they adjourn to a private bedroom will forge their future regardless of wartime. “Smart as well as beautiful. I’m a lucky man indeed.” Blake escorted her farther into the drawing room and took an empty spot on the floor. Though he wanted nothing more than to crush her in an embrace, he had to wait due to the polite society around them. “It had just begun snowing as I rode up. I would imagine the gazebo is quite cold at the moment, far too cold for what I have in mind for a Christmas tryst.” How would she react to his plans? Giveaway for this post: a subscription to my monthly newsletter, book swag (postcards and bookmarks) and a $5.00 gift card to Starbucks. Have a drink on me! Please remember to leave your contact information. Prize winner will be drawn and announced on November 9th. « COVER REVEAL and Release Date! !